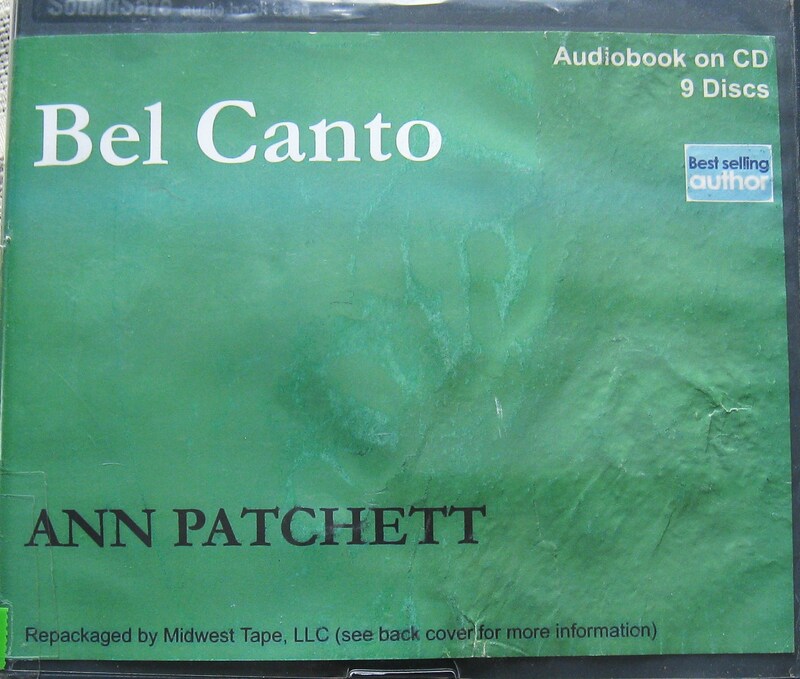 I recently read the novel Bel Canto by Ann Patchett. It’s not something I would normally read as the storyline parallels a real-life terrorist event, the 1996 Lima Crisis. The basis of this book, however, is not terrorism. There’s much more to it than that, which is what makes it such a good read. From a writer’s point of view, there are many things to learn from this book, simply by understanding the strategy used to fascinate the reader. Here are some of the most important things I observed. Unusual perspectives: Patchett allows the following controversial perspective to play a large role in her book: terrorists are people, too. We see that each terrorist has his or her own hopes and dreams, some as simple as learning to write, some as desperate as needing a cure for his easily-curable-for-those-with-money disease. We see each terrorist’s own lack of desire to be…well…terrorists. In fact, Patchett doesn’t deal much at all with what they are actually trying to accomplish beyond capturing the president of an unnamed South American country. The terrorists enjoy normal things like soccer, singing, and chess. By the end of the book, each terrorist has at least one special and deep connection to at least one hostage, including a romance, a teacher/student relationship, and an adoptive father/son relationship. The terrorists begin to see each other differently, too, and have greater respect and understanding of one another as individuals. Humanity left to humanity: I haven’t seen many authors or movies realistically accomplish presenting a believable scenario of how humans might react to each other in a perfect world. This book does that, which is especially surprising for the subject matter. While the book starts relatively quickly with a hostage situation, the terrorists in charge acting as would be expected, the longer the hostages and the terrorists are stuck in the same house together with no immediate way out, the more relaxed everything becomes. The reader is reminded here and there that if the terrorists are tested, they are ready to shoot hostages. However, they never do, and through inadvertent trust, steadily mounting respect, and growing kinship, they all relax over time as they know they’re all stuck together until something major changes…and none of them mind. In fact, there’s only one character who wants to leave because he misses his wife, but he also hopes to take a terrorist with him and adopt him as a son. The characters form such close bonds that by the end, one of the characters even says they’d like to stay forever, and none of them want the “balance” to change. As they have no responsibilities but to try to get along and enjoy their time somehow, it’s all relatively enjoyable for them, more and more so as the novel progresses. The lesson learned in the end is that without work and responsibilities, everyone could get along on their own, without psychologists and complications, despite their differences. Reversing expected roles and reactions: While the terrorists are supposed to be the “bad guys”, in the end (and quite controversially), it’s the government’s SWAT team saving the hostages which the reader ends up despising. This is a complete role reversal and goes against everything you would naturally assume, but Patchett accomplishes this effortlessly. This is an amazing way to end a book (though there’s an epilogue afterwards that I personally think would’ve been best left off) and catches the reader off guard with his or her own reaction to something so unusual, even if they already knew what was generally going to happen. Controversial becomes commonplace: The greatest accomplishment of this book is that Patchett turns something controversial – the concept that terrorists are people too – and eases the reader into thinking it’s not only not so far fetched, but it’s not a big deal. She starts out by describing the terrorists and the situation in the way expected: as frightening, seemingly violent, and stressful. But very slowly, Patchett eases the reader into actually feeling bad for the terrorists and their individual problems and shortcomings because of their poverty. Besides the generals, most of the terrorist “soldiers” are quite young – much younger than the hostages. Their lives are just beginning, but they have no opportunities to better themselves. Then, again very slowly, Patchett convinces the reader that the terrorists are just like everyone else. One of them even speaks directly to her Catholic patron saint, who answers and guides her in return. All in all, Patchett’s Bel Canto is remarkable not only for its value as a good book, but as a lesson to writers on how to captivate your audience and set your book apart from the rest. Even if you’re not overly interested in the storyline, I highly recommend reading it as a writing study. Let me know what you think of the book or its writing strategies in the comments! This entry was posted in Books, Reading, Writing and tagged ann patchett, authors, bel canto, book, character, controversial, hostage, humanity, lima crisis, novel, perspective, POV, reaction, read, readers, reading, role, strategy, style, technique, terrorism, terrorists, writers, writing. ← Proof Positive Just Launched!